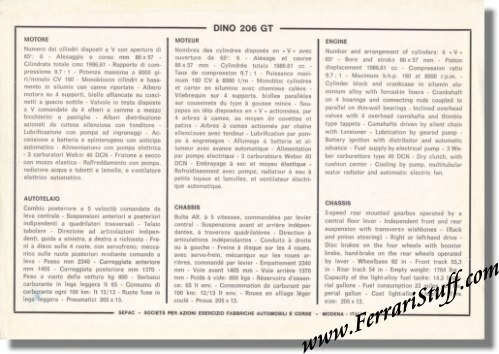 Ferrari factory original 1967 Ferrari Dino 206GT B&W Specification Sales Card. 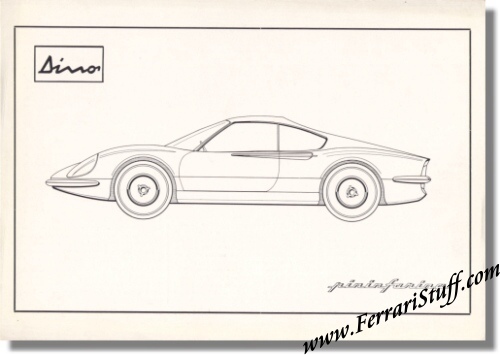 Excellent, near mint condition, specification card showing the Pininfarina design drawing + Dino & Pininfarina logos on the front. The rear lists the specs in Italian, French & English. No print # but Michel Sauze lists it in his yellow book on page 14 and has numbered it "67/00".